Are you ready to make your dreams a reality? 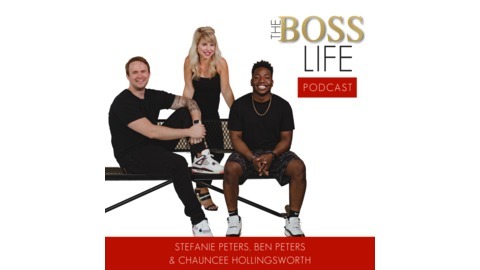 Then it’s time to tune into the Boss Life! 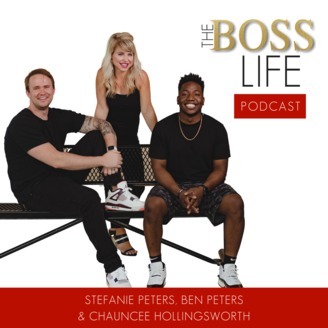 Stefanie Peters; best-selling author, national speaker, founder of Lady Boss Empire, and high performance business coach will be bringing you exclusive interviews from powerhouse entrepreneurs, social influencers, and inspirational guests on how you can up-level your leadership, create multiple streams of income, and unapologetically own your success. Through these powerful stories Stefanie will share the tools, resources, and inspiration to liberate you to live life by design, not default. This power-packed show is designed to equip you to own your greatness and take ACTION on your dreams! Get ready to fire your fear, build your faith, and become the boss of your own life. Make sure to subscribe so you don’t miss a thing. And if you really love an episode make sure to leave a review and share it with a friend! www.TheBossLife.tv.